Our Driver's Test Division 2 team traveled to Ewing, NJ to compete against great OotM teams from across the state. The team members perform a play that they wrote and directed themselves, using sets and props that they designed and built themselves. OM is all about the kids' imaginations! 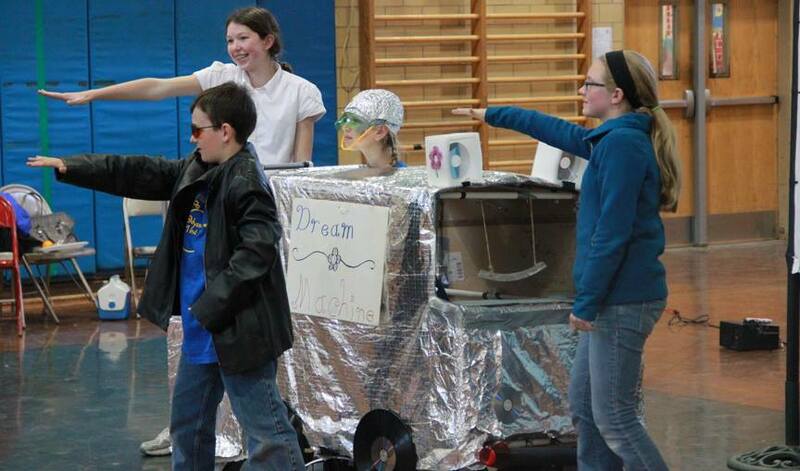 Our seven Collingswood Rec Odyssey of the Mind teams traveled to the New Jersey State Finals on Saturday April 12 held at Ewing High School where they competed with dozens of other teams from across NJ. Our teams qualified for state finals after taking 1st, 2nd, or 3rd in the South Jersey regional tournament last month. Our team competing in the problem called "Driver's Test" and age Division 2 (middle school), was award 2nd place in NJ and received an invitation to World Finals! The team, consisting of Olivia Console (7th grade), ​Josie Cook (7th grade),​ Suzanna Cook (6th grade), Noah McAllister (6th grade), Benjamin Moxon (7th grade), Hank Piper (6th grade), and Kate Schell (7th grade). They received an invitation to the OM World Finals, which will be held May 28-31 at Iowa State University. This is an amazing achievement for any team, but even more so considering this is the first year competing in OM for many of the kids.